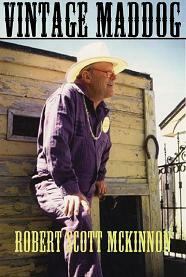 "A satirical, off-beat collection of side-splitting tales by a writer who takes his humor very seriously." "A well plotted novel with dialog that flows naturally and quirky characters that endear themselves to you, even the nasty ones. 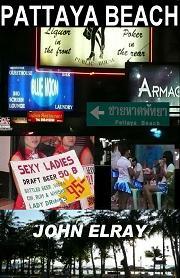 In Pattaya Beach, John Elray transports the reader to Thailand and provides an immersion in Thai culture and a realistic representation of life there. Some interesting twists and tongue-in-cheek humor make this a fun read. Recommended." "Fast paced, with lots of twists and turns to keep you hooked! Takes you into a world that many may not have …even known about. This story has a bit of everything for everybody. 5 stars." "A tutorial in excellent writing. John Elray weaves a tale of greed and corruption in a land known for its pleasures. Elray draws you so deeply into (his characters') lives that you have to know how they turn out… (and) he paints a vivid picture of (Thailand) without a hint of travelogue or ponderous narrative. The ending is all too honest, but strangely satisfying." 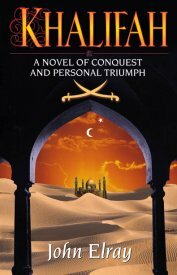 "John Elray's riveting historical novel, Khalifah, is a compelling fable of star-crossed love, clashing faith, and the rise and fall of empires. A powerful, fascinating story - superbly written, totally engaging from start to finish, and enthusiastically recommended." "Elray employs magnificent imagery to depict the brutality of war and the harsh realities of desert life. Khalifah sweeps you across a landscape as unforgiving as those who vie to control it." "The action begins on the first page and never stops. Khalifah is a very well written story, with colorful characters, a well developed plot, and wildfire action that will keep you glued to the page way past bedtime." 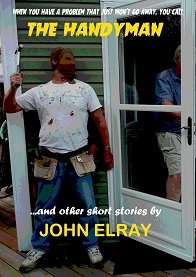 "Thoroughly enjoyable collection of acerbic short stories. Dark and humorous – recommended reading." "Bitingly satirical (with) some stinging parodies that are funny as hell. Destined to become a cult classic." 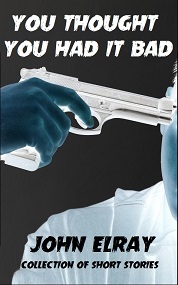 "No hesitation… 5 stars - a very enjoyable read - highly recommended. This [collection] has quality throughout." "Surprisingly engaging. I wasn't sure I'd like a memoir of this type, but I kept turning the pages and reading on, anxious to see what was in store next for this amorous adventurer. 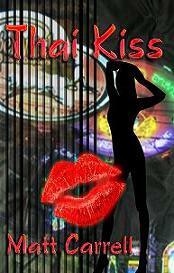 Well written (but explicit), humorous, and a good read overall." "A fast paced novel that takes several twists and turns before revealing its true course in a thought provoking mix of zealotry and genetic engineering. Strong, well developed characters make this a convincing read and, all in all, a well done action/adventure story supported by the considerable wit displayed throughout it." "Hugh Fox is perhaps the most totalistic proponent of the school that believes (that cultural) resemblances are due to historic contact rather than archetypal coincidence. Fox is well versed in a wide range of evidence, and is a participant in a legitimate reconsideration of the pieties of academic history and the factual versus fanciful status of myth." "Hugh Fox has become one of the foremost authorities (perhaps the foremost authority) on pre-Columbian American cultures." 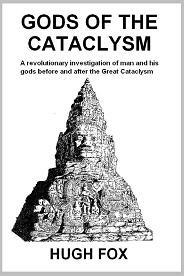 "Hugh Fox’s Gods of the Cataclysm...ought to be required reading for cultural historians of all disciplines." -Curt Johnson, editor & publisher of Who’s Who in U.S. Writers, Editors and Poets. "An exciting romp through time and through the lens of the characters' points of view as they pass from one life to the next. The author excels in her ability to lay bare the emotions of her characters and pull the reader right into the story alongside them. A good read." "A superb novel from an author gifted with the keenest sense of wit. 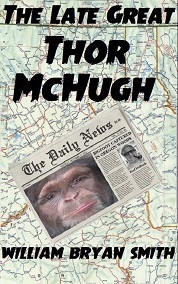 Reading William Bryan Smith's The Late, Great Thor McHugh is like falling down a hill – once you start, it's hard to stop. If this novel were a TV series, it would be called Seinfeld." "A suspenseful, well researched page turner from a brilliant writer. The well executed plot twists make this a gripping tale from start to finish." 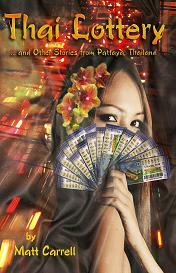 "Author Matt Carrell follows his first masterwork with another, exploring life in Thailand from both sides of the fence in this compelling novel, Thai Kiss"
"Packed full of useful information woven into a series of fascinating tales. This book will have seasoned travelers to Thailand nodding their heads in agreement and provides the newbie with a number of valuable lessons that would normally take a long time to learn, sometimes the hard way. 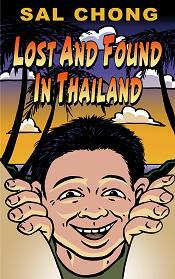 And Matt Carrell's writing style flows, making Thai Lottery and Other Stories… an easy and enjoyable read." "A great collection of stories from beginning to end. Anyone that loves Thailand or has even just been there will enjoy this one. A wonderful insight into the Land of Smiles, its people and those that go there." "Is nothing sacred? Apparently not. 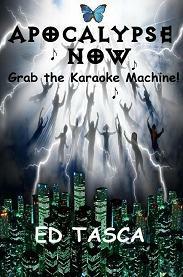 The author adopts the point of view that if you can't poke fun at heaven and hell, God and Satan, Jesus and the Antichrist, Raptures, Resurrections, Revelations, and the general demise of the human species... what can you poke fun at? Hilarious, and an enjoyable read. Ms Gibson will certainly go to hell for this one!" "A must read for anybody who has ever been to a dog track, adopted a Greyhound, and dog lovers in general." "The author has a unique way of writing that keeps your interest every minute (so that) you cannot put the book down. He has a fantastic sense of humor… one of a kind."